Hey, y'all! Wedding season is quickly approaching. I'm sure we all like to give nice, personalized wedding gifts, but sometimes those gifts are a little hard on the ol' pocketbook. 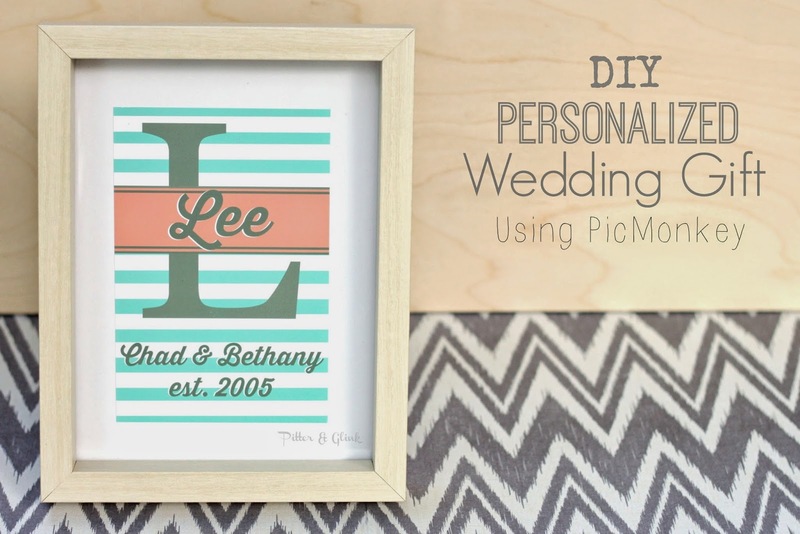 Today I'm going to show you how to make a chic, personalized wedding gift using PicMonkey--an online photo-editing site--and digital scrapbook paper. 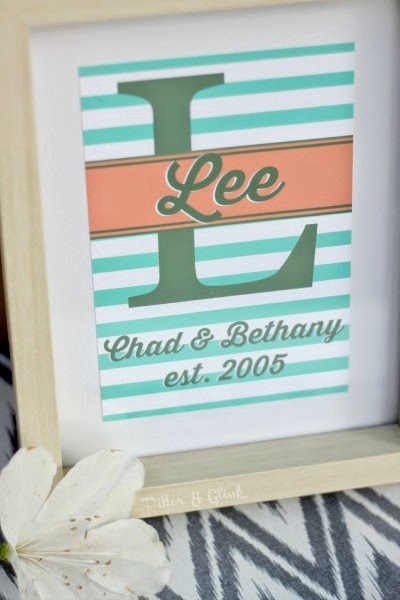 Print out your design and pop it in an inexpensive frame, and your gift will be something the happy couple will cherish for years. 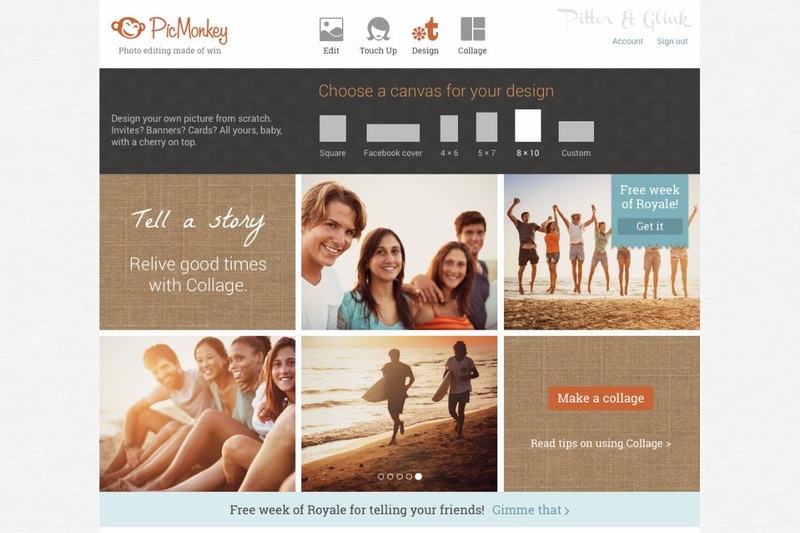 First, you need to go to PicMonkey.com. 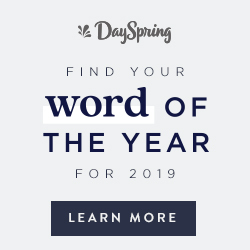 Click on the design option at the top of the home page. 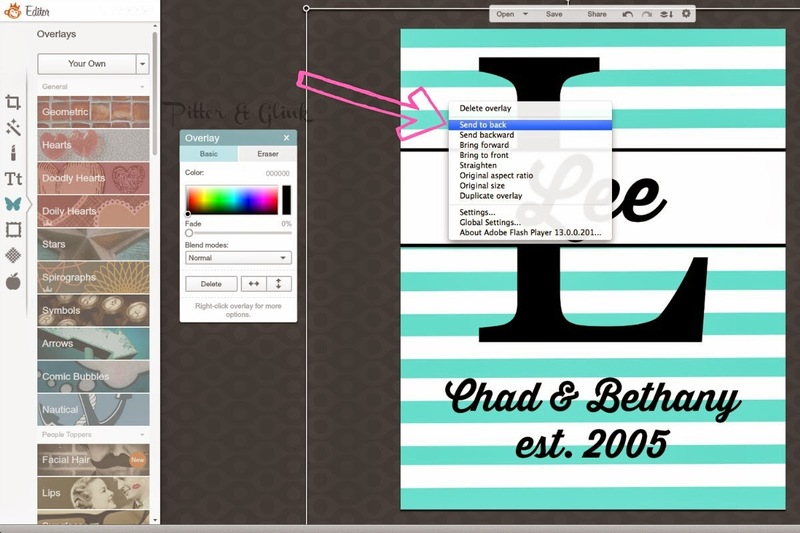 Then choose the "canvas" size that you'd like your finished print to be. When you do that, a white page will open. There will be an option for you to change the color of the page. Just click apply and the page will stay white. 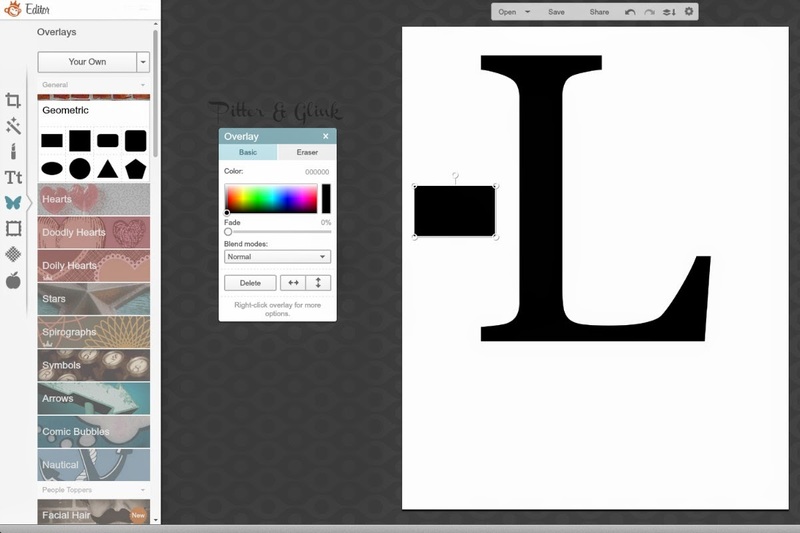 On the left side of the screen, click on the T's; this is the font option. 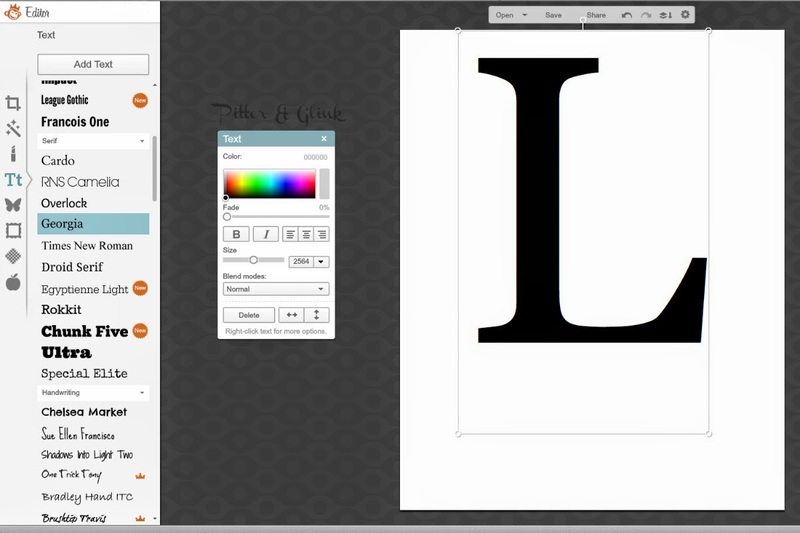 Choose a font you like and click "Add Text." 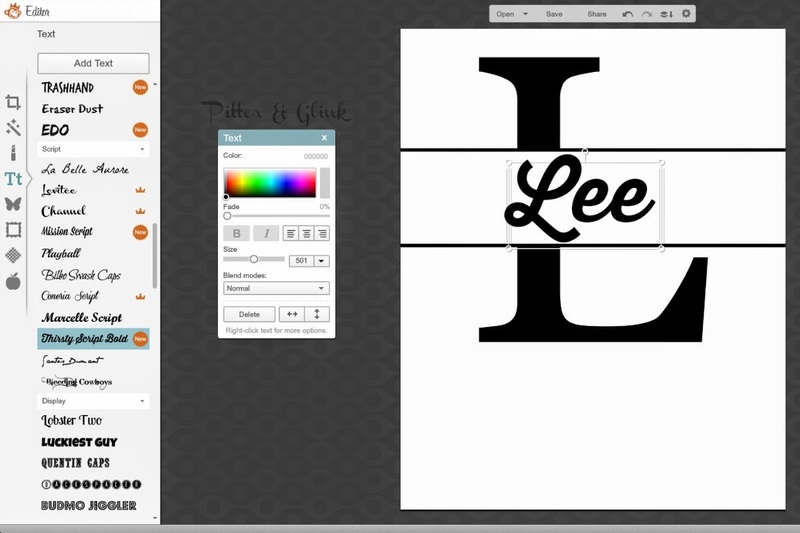 Type the initial of the last name of the couple and resize and reposition your letter. You want to position it in the top two thirds of your white page. 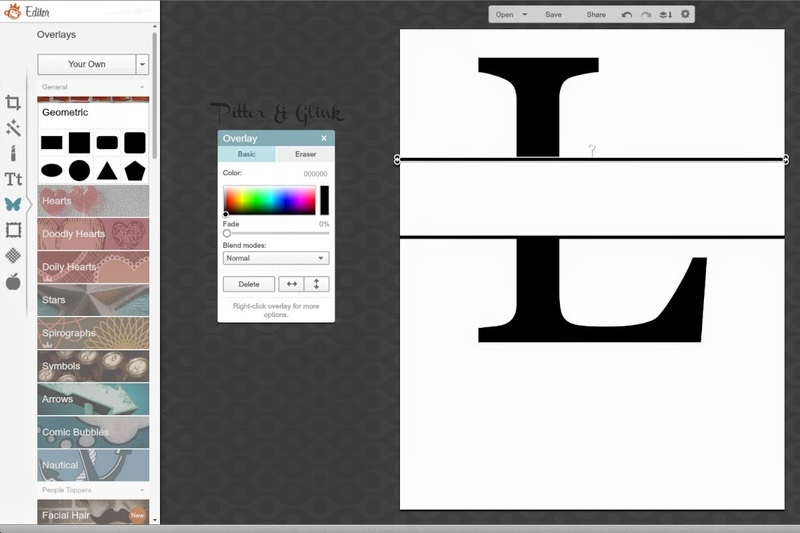 Next, click the butterfly on the left side of the screen; this is the overlay section. Click on the geometric shape overlay option at the top. Chose a rectangle. Change the color of your rectangle to white and then stretch it all the way across the print. Try to center it in the middle of the letter. 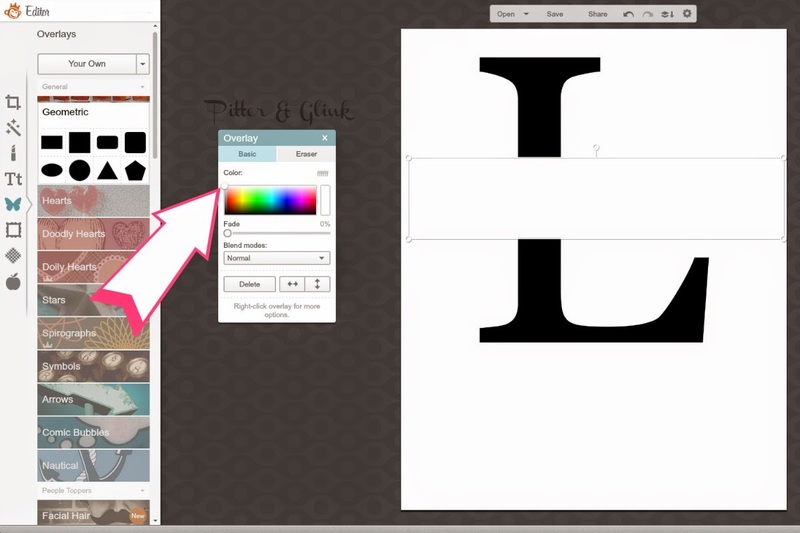 Click on the geometric overlay option again and choose a rectangle again. Leave this one black. Make it really thin and then stretch it across the print. As you can see in the photo, this creates a thin black line that you will use as a border. Right-click the line and duplicate it. Position the lines like those in the photo above. Choose the text option again on the left of the screen. 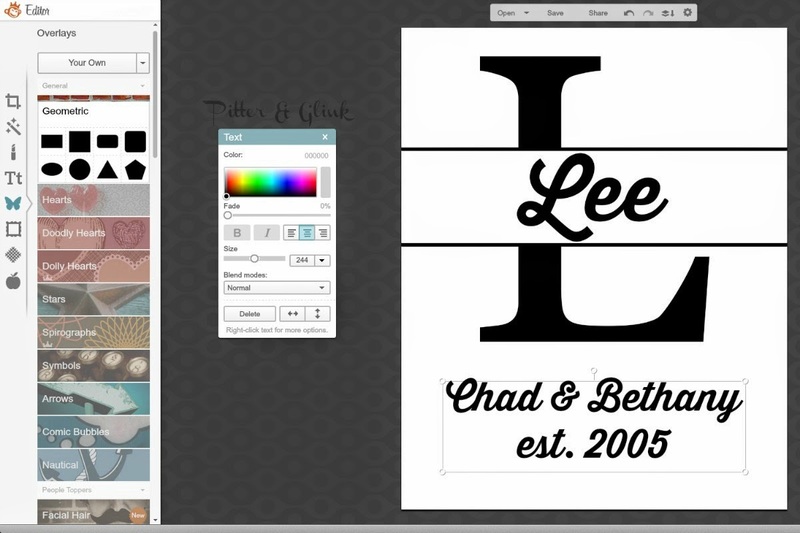 Chose a pretty font, click "Add Text," and type the couple's last name. Center it in the white rectangle you just created. Enlarge the paper enough to cover the entire print. Then right-click on the paper and choose "Send to Back." This will put the paper in the background and move your letters to the top. You may decide that you're finished after this step, but I had to do a little more tweaking because I'm a tweaker when it comes to digital creations. After you save your print, all that's left to do is to actually print it out. You can print it on photo paper with your home printer if you have a good printer, or you can save the file to a jump drive and print it at any photo center. 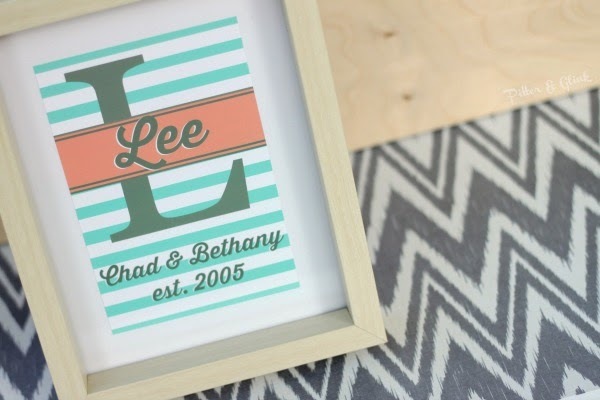 Buy an inexpensive frame, pop the print inside of it, and you have created a very special gift for mere dollars. This is beautiful! Love all the step-by-step directions. Especially how you made the lines on the rectangle...whew! You are so smart. I use picmonkey all the time and never knew how to do this kind of thing. Thank you! 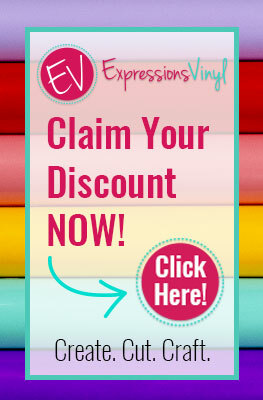 This is so much easier than doing it on my Silhouette with vinyl (and less expensive!) ;-). I love it! Thanks for sharing. What a special gift that would make! That's so pretty and such a personal gift idea! Love it!! This is beautiful! 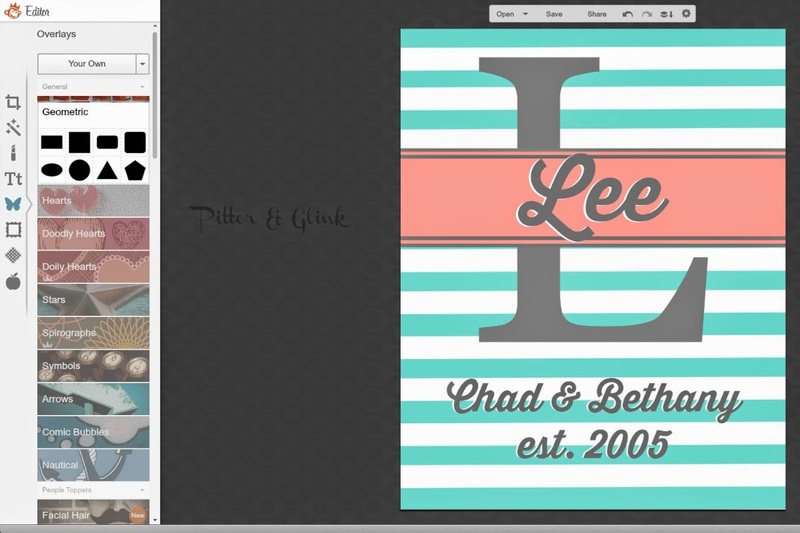 I love that you could fully customize the colors and fonts to suit the people you're making it for (or yourself!). Thanks for sharing this tutorial!! So pretty! PicMonkey is awesome! Thanks for sharing this with us! Brilliant. A cheap and meaningful gift!